It was pure overstimulation. I drove home with the setting sun in my eyes and then with headlights. When I finally laid down, my head was aching, throbbing. The cars racing down the road felt like they were crashing into my ears. The soft light from every streetlight felt like a super nova against my closed eye lids. I was keenly aware of every scent. My hair, my pillow all smelled too strongly. My soft fleece blanket irritated my skin, it made me feel trapped under it. I shivered and I sweat at the same time. I’m sleeping over at my friends, in their bed. I sit up and sigh. My feet dangling over the plush carpet. I walk into the living room and dig in my bag for something, anything. The clicking of my medicine case sounds like thunder in the quiet room. I’m beginning to sniffle, tears escaping, rolling down my hot cheeks. I brush my fingers through my hair, tugging on it briefly to draw me out of my head. I’m here, not in there. I hear someone else get up in their apartment. I walk to the bathroom for a sip of water. I stumble in and lean heavily on the sink. There is a soft night light on the wall above the sink. I rip it off the wall, laying it down next to the outlet. The room falls into complete darkness. The highway outside their apartment is hushed. I can finally breathe. I stand there until I lose track of time. I dig my toes into the rug on the ground, thinking about laying down in the cramped bathroom. I can’t do that. I head back to bed, crawling in next to them. I turn my back to them. I lay my head back down my pillow despite it feeling like a rock. I close my eyes and try to sleep. Hi, sorry! I’ve been totally swamped with school, homework, work and migraines. I’m going to schedule a bunch of posts and try to get back on top of things. I have had PCOS for a few years, well diagnosed for a few years now. When I menstruate, I can fell the cysts swell with fluid. I can feel them from the outside of my body when I probe around my sides. When they burst, the pain ranges from mild to severe. I’ve had cysts pop and I thought my appendix had burst. The only reason I knew it wasn’t, was because it was on the wrong side. I found more cysts, on my left breast. They react like the cysts on my ovaries, they swell when I menstruate. I haven’t had one burst yet there. If it’s anything I learned from having them burst in my ovaries, I don’t want to have one burst in my breast. I was doubled over in pain, doing homework, spewing jibberish to the friends I was suppose to help. I’m going to the doctors on Sept. 10th so the cystic breast is on my file. It’s either I go on higher level birth control and deal with the headache side effects, or I can stop birth control and deal with cysts filling, emptying and bursting. I feel like I stuck a fork in an electrical socket. My hair is on end, pulled straight and out from my fingers running through it. I know I’m overwhelmed but keep telling myself I am underwhelmed. That I need to do more. School started. I am always intimated by the work load when I see everything I have to do. I get anxious, thinking I have to get everything done as quickly as possible. I completely disregard the fact I have three months, a whole semester to complete everything. I worked before my first day of school. I only worked for 4 hours but it was enough. Waking up at 6 am, going to work, going to class and coming home around 5. When I laid down for bed at 9, I was too tired to sleep. I was just cranky and mad at myself. I worry about my headaches, work and school. I don’t know how to balance them all out yet. I can barely balance headaches and school now I’m throwing a part time job on top of that. I got a job, like a real life job. I’m working in the deli at the local supermarket. It’s not hard but it’s a lot of time on my feet and a lot of repetitive tasks. I’m too short to really see over the counter so I have to stand on my toes a lot. My legs, feet and toes hurt more than anything else really. My head has been quiet – I guess only one thing can hurt at a time. I did have one headache at work – stress induced. I keep being asked if I’m okay at work. I guess I have that slight “not home” look perfected. I always say “I’m fine” and move onto the next task. Some people are asses. Some are really sweet. It’s customer service. School starts next week. I have two professors I’ve had before. They both have given me two of my lowest grades so far. I’m a little worried but now I know what to expect from both of them and to do better. I’m worried with working and studying and my head. It’ll be the first time my head isn’t at least a part time job. I’ll be going to school full time and working at least weekends and maybe evenings. I’m trying to be optimistic but am still anxious at the same time. I have a tendency to crash and burn. I feel more like a broken record than ever before. I have mixed feelings about it. I’m happy that I’m voicing my pain, my discomfort. I’m not only acknowledging my pain, I’m acknowledging that there is a problem. “I don’t feel well.” I’m saying more than just that. I’m saying that I have a problem, that it’s not normal. I shouldn’t be this way. But, at the same time, I feel like nothing is changing, like I’m not doing enough. I don’t know what else I can do though. I take my medicine, I sleep, I watch what I eat. I don’t know what I else I can do but feel I should be doing more. This is me feeling like it’s my fault, that I need to fix this some how. I’m just frustrated. I’m so frustrated that’s it’s been so long and nothing has changed and I’ve been trying so hard. I don’t know what else I can do. I have people who care enough to listen to me say these phrases over and over again. I’m grateful for that. But – like when you say a word over and over again, it loses it’s meaning; the phrases lose their meaning. I’ve experienced it before – when people stop believing. I’m scared of that, another invalidation of my pain. If I don’t say anything, then I don’t know – I don’t have to worry about them believing me or not. I don’t have to be judged for my management methods (or lack thereof). I don’t have to worry about the other reactions. I think I want sympathy but that doesn’t always happen. I’m scared when that will happen. It’s beginning again. I say I don’t feel good and I get this look. It’s that ‘you always have a headache’ look. I know they can’t do anything but saying something just helps – it pulls me out. But I get a look, it’s a look of annoyance. I don’t know if it’s at me or my head or both. But me and my head are the same. Annoyance with my headaches is annoyance with me. Sometime it’s sympathy, sometimes it’s not. Maybe they’re just as frustrated or annoyed they can’t do anything either, or if they’re annoyed with me. It’s not my fault, it’s not my fault, it’s not my fault. But I get all of the blame. I deal with all of the consequences. I have pain but I feel like I can’t talk about it without being annoying, without bothering someone (who isn’t being paid to listen to me). I feel like I’m bitching. All problems are valid, and I can’t say mine is worse than someone else’s. I don’t feel good. My head hurts. I don’t feel good. My head hurts. I don’t feel good. My head…. 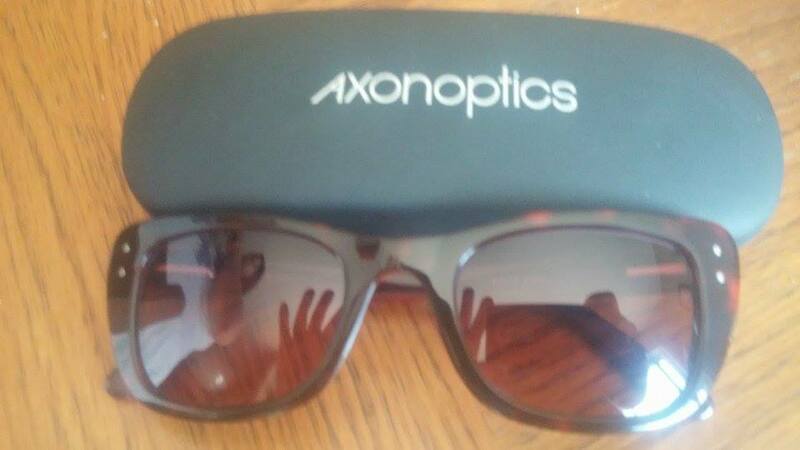 Thank you to the wonderful people over at Axon Optics for a new pair of their revolutionary eye wear. These sunglasses are a life saver. They block out light to reduce light sensitivity during a migraine and reduce the number of light triggered migraines. A link to my article I wrote for Axon Optics can be found here. Feel free to comment here or there. I am so grateful for the glasses they sent me. Please check them out and if you have the money – buy a pair. They are amazing and will change your life if you have light sensitivity with migraines. I never expected something like this to happen. 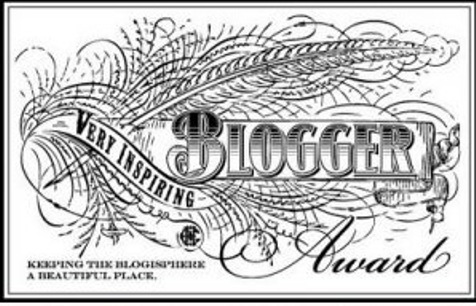 When I started this blog I never expected it to have the reach and impact it does. I know I’m helping people. Now I’m actually getting something out of my migraines. (Not that I wanted to). My migraines are paying off. Instead of suffering, I’m helping and being helped. When I spent two days in bed rather than joining the rest of the world, I figured it was a sign of a flare up of depression. Today, I felt really good – better than I have in a long time. I can’t explain it – but I’m grateful. There is some more exciting news in my life – my dog, Penny, gave birth on Tuesday to 9 beautiful little puppies. I’ll definitely have my hands full in the next couple of weeks.